This section of the website provide information on how to get started with home brewing and is in no way a definitive guide, brewing is not an exact science and you will be able to put your own mark on your own brews. There are many good books that provide more detailed information, we have put together a list of recommended reading, but the information on this site should be enough to get you started. 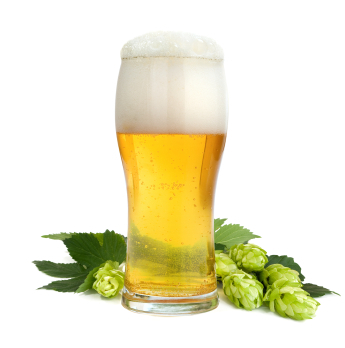 Home brewing is relatively easy and inexpensive process and also it does not take very long. In very simple term all you’re doing is boiling water, adding some ingredients and filling bottles. It is important to remember the initial investment for first time brewers will be the highest cost, so do not let it put you off as future costs will be minimal. The time involved varies with experience, but usually 5-7 hours for preparation and clean-up. 2 weeks for fermentation and then 2-3 hours bottling. And another 1-2 weeks waiting before the beer is ready to chill and serve. 1. Malted barley is soaked in hot water to release the malt sugars. 3. The solution is cooled and yeast is added to begin fermentation. 4. The yeast ferments the sugars, releasing CO2 and ethyl alcohol. 5. When the main fermentation is complete, the beer is bottled with a little bit of added sugar to provide the carbonation. As you will find out this is a massive simplification of the process and there is and incredible amount of information about that will help you develop your techniques, but remember this is supposed to be enjoyable so do not be put off by some of technical terminology. The best method is to purchase a kit from a homebrew supply store, these may cost between £30 - £100 but will provided you with all of the essential and additional equipment. 4-5 gallon stainless steel brewkettle. 5 gallon glass carboy (with number 7 drilled rubber stopper) and a 5 gallon food-grade plastic bucket. A racking cane (rigid plastic). 6 feet of vinyl siphon hose (that fits over end of cane). Bear Bottles (non-twist) with caps.